Whether you are looking to load up the truck bed or tow a trailer, this Load-N-Go portable reel roller has you covered. 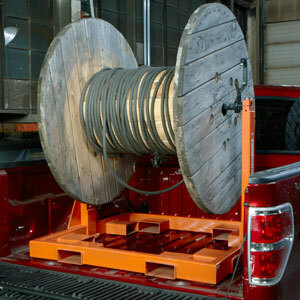 The ingenious design of this reel rack system allows for it to be handled by a forklift or crane, and collapses for simple storage when not in use. 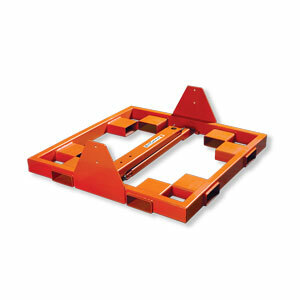 With support for reels up to 41" wide by 65" high, the Load-N-Go offers the ability to handle multiple reels with up to 2,000 lbs total. This system is ideal for installing underground wires in open trenches or in conduits and overhead wires (does not work for tension stringing applications). This item ships via LTL Freight on a pallet. 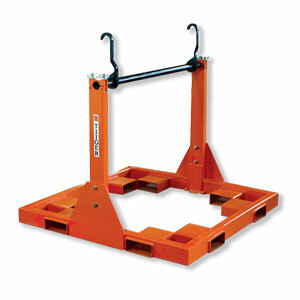 Supports reels approximately 41" wide x 65" high, up to 2,000 lbs.